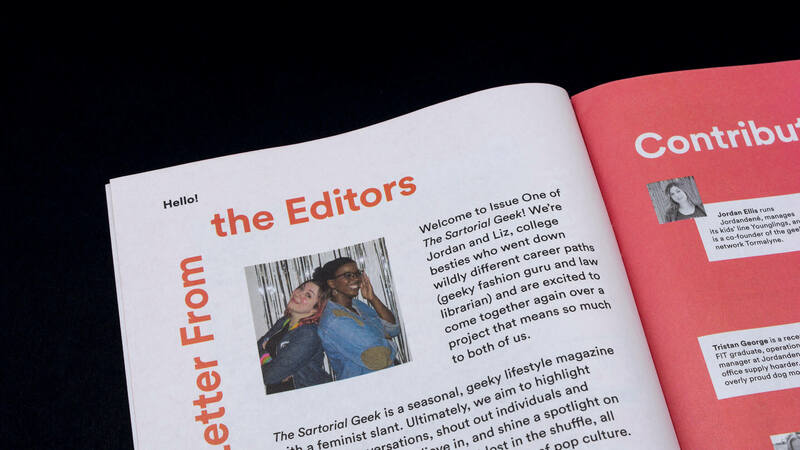 Jordandené, a Brookyn-based geek apparel and homegoods company, asked Bueno to help them launch a new quarterly lifestyle magazine called The Sartorial Geek. 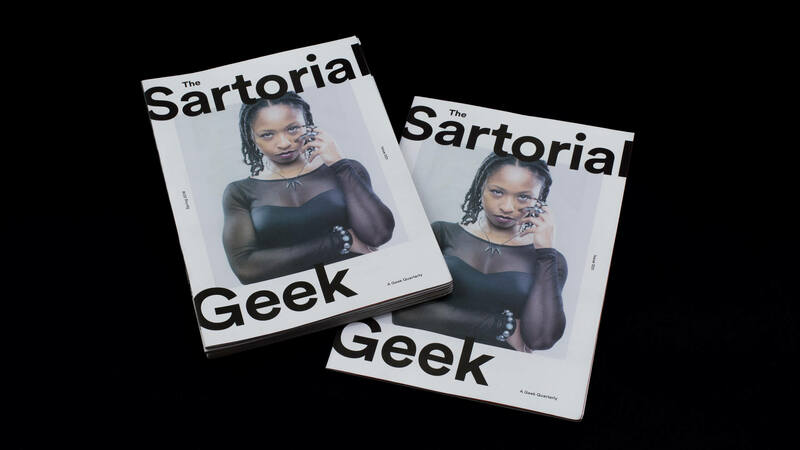 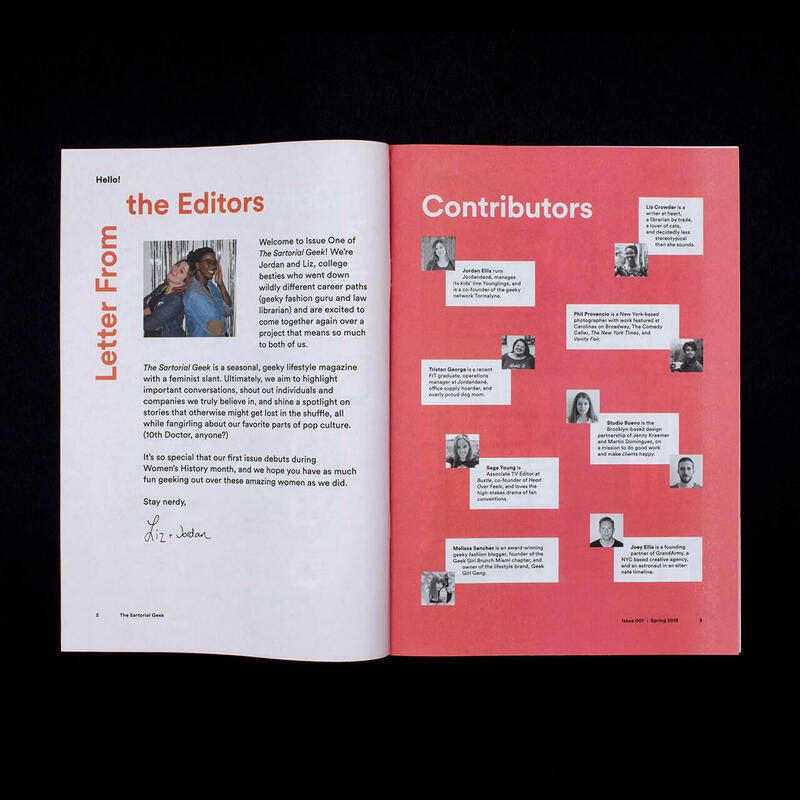 The design positions the magazine as a stylish resource for the modern geek. 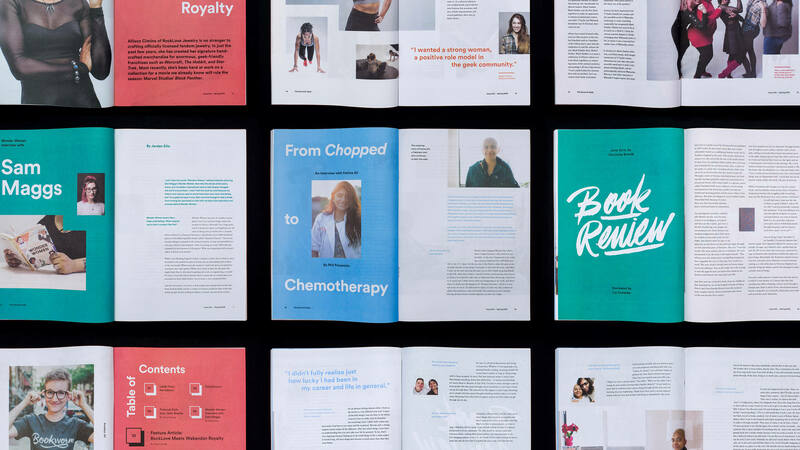 Each issue is produced in 4-color on newsprint at roughly the size of a comic book, and sold at conventions and on Jordandené’s website. 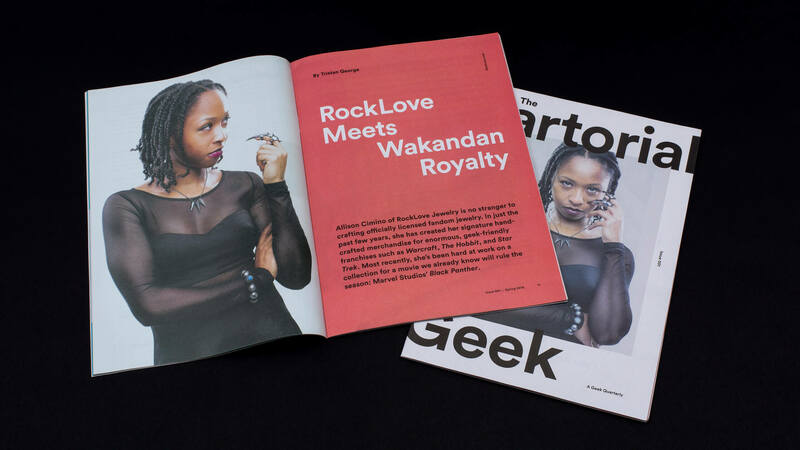 Making its debut during Women’s History month, the first issue features topics such as a woman-owned company that specializes in officially-licensed fan jewelry for films like Black Panther, and an interview with female Top Chef contestant Fatima Ali.